The final volume exploring Magic: The Gathering's darkest world yet. 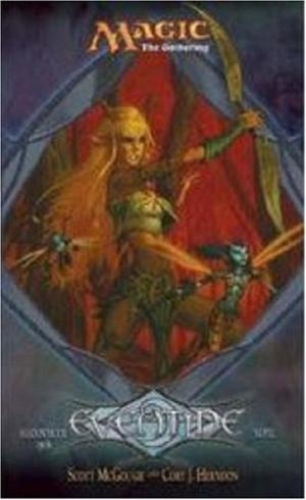 The elves of Shadowmoor live in a world of perpetual gloom, but a single ray of hope may bring light to a race struggling on the brink of survival. Co-authors Scott McGough and Cory J. Herndon have immersed readers in a world of perpetual day, then plunged them into a world of endless night. As with previous Magic: The Gathering titles, Eventide gives readers a sneak peak at what will be coming out in the next card set.